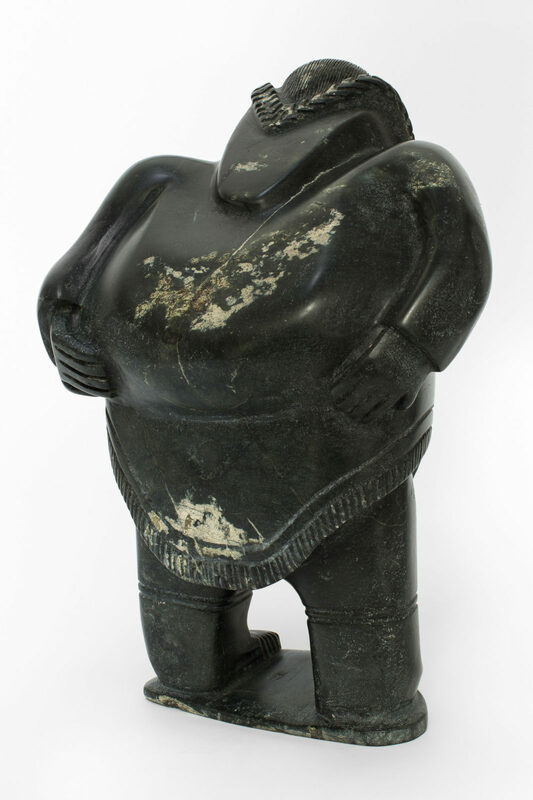 untitled (woman with load), c. 1984, pyroxine stone, 14.75 x 10 x 8.5 in. 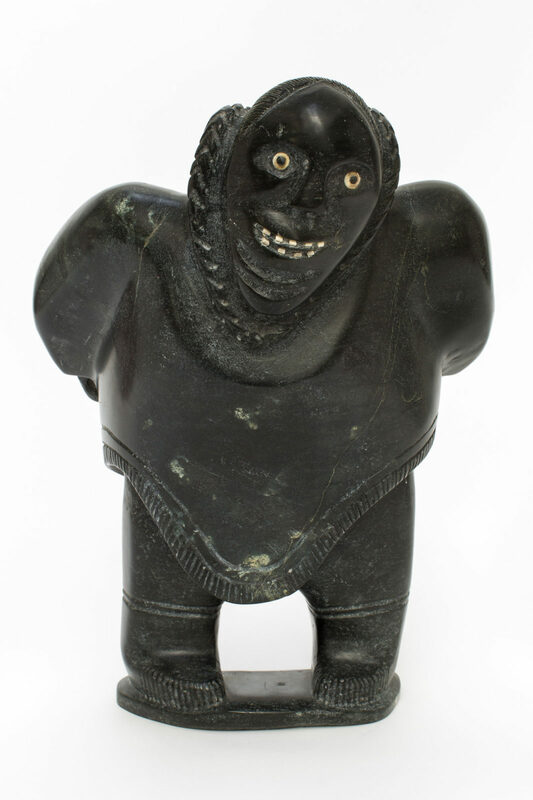 untitled (woman with load), c. 1984., pyroxine stone, 14.75 x 10 x 8.5 in. 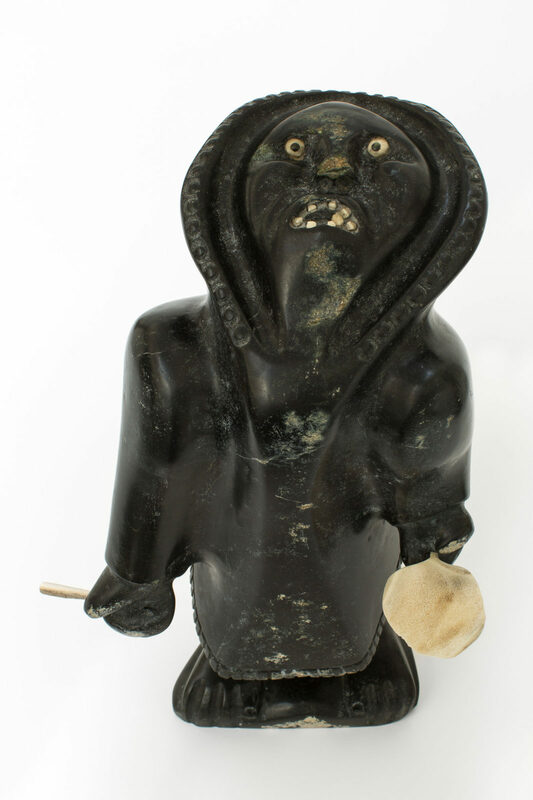 untitled (woman with drum), early to mid 1990's, pyroxinite, antler, 14 x 9 x 10 in.